Our vegan baked squash recipe is easy to prepare and looks beautiful for company. The natural shape of the acorn squash makes a fancy “dish” for any type of filling! You can use traditional stuffing for thanksgiving, rice or another grain, or fill with sauteed veggies. You can bake the squash and prepare the filling the night before and reheat right before your company arrives. Add color with yellow or purple tomatoes for the garnish. 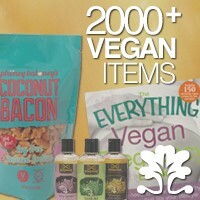 Note: this is a great recipe for anyone following an oil-free diet. 2. Cut squash in half and remove seeds. 3. Place face down on a baking sheet or broiling pan. You may coat with olive oil if you prefer. 4. 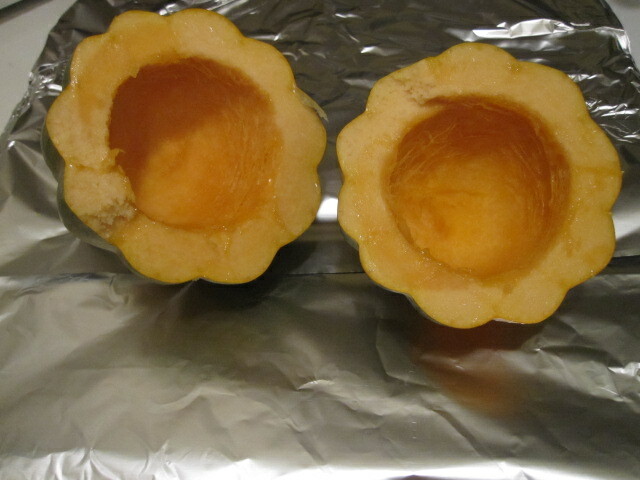 Bake for approximately 50 - 60 minutes or until the squash is tender when pierced with a fork. 5. Line the two serving plates with fresh mixed field greens. Place purple tomato slices in the four plate corners. 6. Place one squash half in the center of each plate. Fill squash halves with prepared rice. Garnish with parsley. 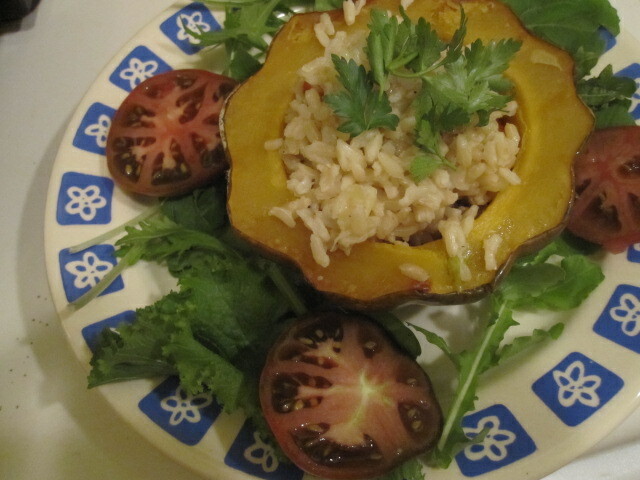 Let us know what you think of this easy vegan recipe: Baked Acorn Squash Stuffed with Rice!